The first fully complete page preview of Bad Luck Inc., for your perusal. Click on it to get the full size version (obviously all copyright laws apply and please only reproduce with my or artist Yui Marr's permission). 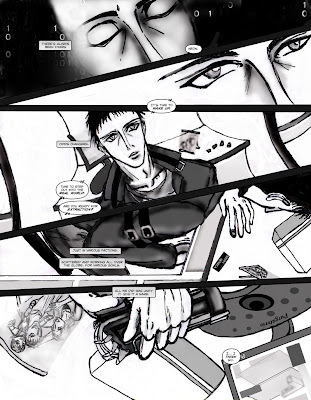 I'll really leave the page to speak for itself, with the next two pages to follow within the next week, leading into the release of Tales From the Plex Vol 2 (http://www.futurius.com/tftpv2.html).